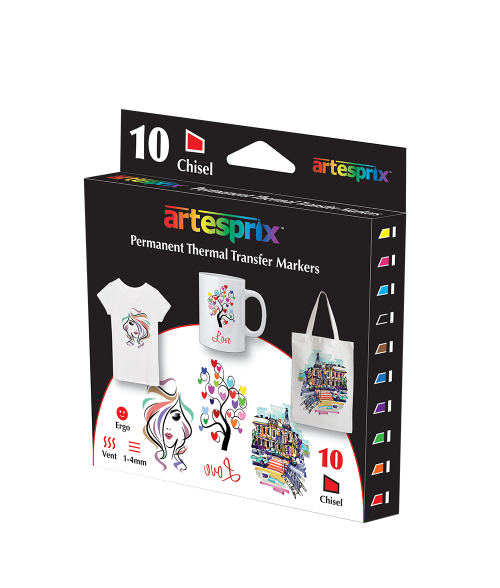 Bring your next unique design to life with Artesprix® sublimation markers. Ten vibrant colors- Red, Orange, Yellow, Brown, Black, Light Blue, Dark Blue, Green, Magenta and Purple make this a must have! Free the inner artist and create a masterpiece to almost any fabric or polyesters items.